When it comes to torque wrench pumps, the only brand that you need to consider is Power Team. They have long been the market leader for high pressure bolting pumps, thanks to their excellent durability, life cycle cost benefits and the fact that they are very easy to use. At SGS Engineering, we are a proud stockist of Power Team torque wrench pumps and their SPX bolting pumps. All of our bolting pumps and torque wrench pumps are manufactured by Power Team. In addition to the top-of-the-range SPX bolting pumps, we also have a team of skilled engineers who can tailor your torque and controlled bolting needs in our fully authorised repair centre. All Power Team torque wrench pumps and other products from the respected manufacturer come with a Lifetime Marathon™ Warranty, too. We also offer the ability to hire a hydraulic torque wrench pump if you only require one on a short-term basis. When you buy torque wrench pumps from us, you know that you are getting the best available. 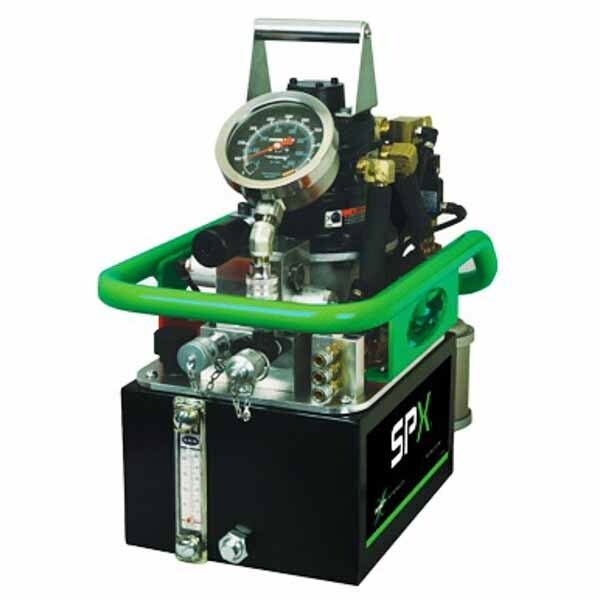 Browse our entire range of SPX bolting pumps today online. If you require any assistance pairing SPX bolting pumps with your other bolting equipment then don’t hesitate to get in touch with our technical sales team today, who will be able to help you find what you require.